Arranged with Keyboard Accompaniment. Composed by Brant Adams. Sacred. 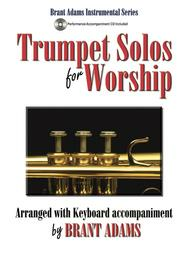 Performance/accompaniment CD. Exaltation Publications #30/1863L. Published by Exaltation Publications (LO.30-1863L). Brant Adams is perhaps the premier orchestrator for church music publishers today. 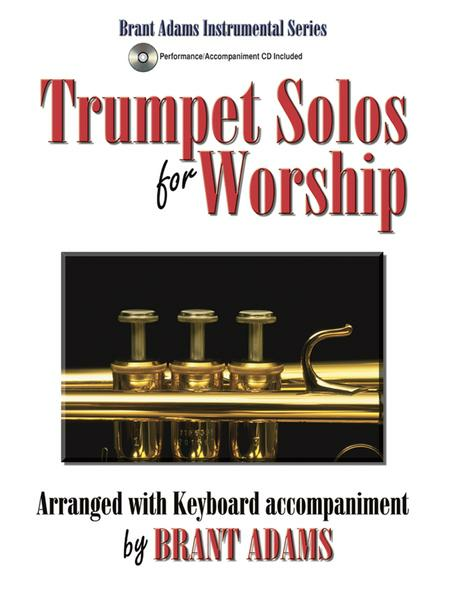 This volume of trumpet solos is the first in the Brant Adams Instrumental Series and features a Performance/Accompaniment CD. These arrangements reflect his solid understanding of the instrument, creative arranging abilities, and a keen awareness of the local church setting shaped by his many years as a practicing church musician. I like the early section of each piece, but I find the variations suitable for contemporary worship but not for traditional services. I also think most of the accompaniment arrangements are too difficult for the average pianist. The Music is extremely well arranged and the selection of songs is greatly appreciated. Furthermore, the publisher has shown great foresight in providing the choice between recorded and piano accompaniment. Thanks for a most welcome and "above the ordinary" book. This is an amazing book with exceptionally composed arrangements which are interesting, challenging, imaginative and have certainly motivated me to practice, practice, practice. Thanks for such an inspiration. April 10, 2008 Buy this book! 'll use every one of these arrangements. Many of them are usable on other Bb instruments, too. I'll be playing several of them on soprano saxophone. 27 of 55 people found this review helpful.